Clear the Shelters is Saturday, and if you're planning on adopting a shelter pet, you may want to consider a safe way to get them home. With summer coming to a close, and fall and winter holidays right around the corner, you might be planning a trip — family pets included. But before you hit the road with your pooch in tow, you'll want to consider a few safety measures. During a crash, or if you slam on the brakes, pets can act as projectiles if they are not properly secured. And they can also distract drivers from keeping their eyes on the road. The market is full of pet restraining products, everything from harnesses to carriers, however many labeled "crash tested" are based only on manufacturers' claims. In 2015, the Center for Pet Safety — along with Subaru — rigorously tested carriers and crates to find which devices keep four-legged travel companions safest in the event of a crash. 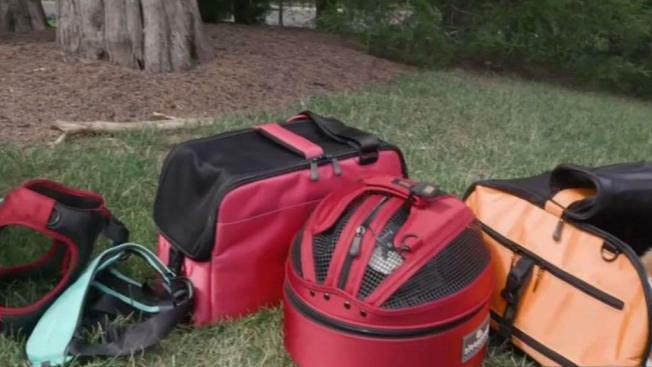 They tested harnesses, crates for bigger dogs, and carriers for small dogs and cats and concluded among the top performing pet restraints are the Gunner Kennels G1 Intermediate crate ($500), the Sleepypod Mobile Pet bed carrier (starting at $170), and the Pet Ego Jet Set Forma Frame with Latch Connection (about $150). The CPS said the Gunner Kennels crate withstood the most significant force generated in the crash study and the two leading carriers fully contained test dogs. Subaru recommends pet owners choose a crate or carrier appropriately sized for their dog - usually about six inches longer than the dog’s body. Owners should secure crates using strength-rated cargo area anchor straps, not elastic or rubber bungee cords. "We at Subaru recognize the importance of keeping the entire family safe on the road, including our beloved pets,” said Michael McHale, Subaru's director of corporate communications, in a press release. There are currently no performance standards or test protocols to verify manufacturers’ claims that their crates and carriers are safe. CPS hopes to establish such standards with data found through their studies. Traveling safely with pets takes some extra planning, but in the end Consumer Reports says, it's worth it.